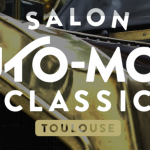 With more than 400 vehicles being exhibited, including forty over 100 years old, the Auto Moto Classic Car Show, is taking place for the first time at Toulouse Exhibition Centre. The show, being held on 21, 22 and 23 September 2018, will celebrate the finest classic cars and bikes. 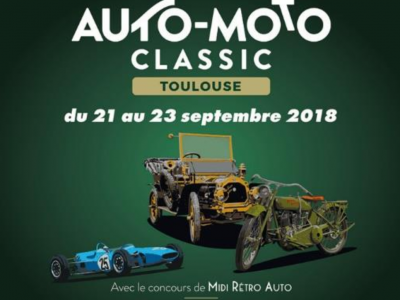 Many activities are planned throughout the 3 days, in particular a flagship exhibition organized with the help of Midi Rétro Auto, “Nos Belles Centenaires”. Before 1914, France was the world’s leading manufacturer with more than 100 marques. The war destroyed the new found affluent market, and the cars that have been saved are very precious, full of charm and elegance! Fragile and precious, they testify to the ingenuity of the know-how already present since the end of the 19th century. Whether they are DE DION, DELAGE, PANHARD & LEVASSOR or ROCHET SCHNEIDER, they remain beautiful and can be seen in this exhibition. In addition more than 50 cars will be auctioned from 15h on Saturday afternoon, September 22nd.